When Gary Miles and his partner Chris Fry got into serious debt, they ended up selling jewellery and other valuables so they could afford to buy food. The Gosport couple tried an online firm that promised to help them deal with their debts. But it charged so much in fees that little of their actual debt was being paid off. 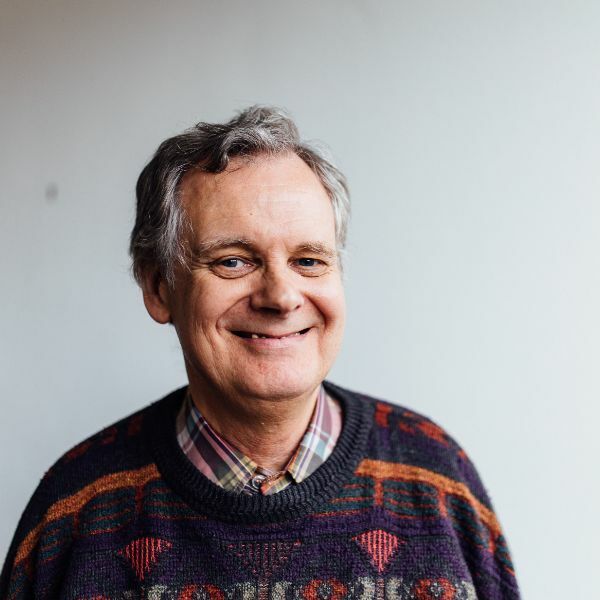 It was only when staff and volunteers from his local Christians Against Poverty (CAP) centre offered free advice and support that they were able to turn their lives around. Regular one-to-one visits from a trained debt coach and befriending by a volunteer helped them to work out a realistic budget and negotiate affordable payments with each creditor. Gary, 56, and Chris, 62, are the kind of people that the Anglican Bishop of Portsmouth, the Rt Rev Christopher Foster, aims to help with this year’s Bishop’s Lent Appeal. Generous worshippers from across the Church of England’s Diocese of Portsmouth will raise funds to help those suffering from debt and food poverty. The bishop has promised that this year’s Bishop’s Lent Appeal – which normally raises around £20,000 each year – will be split between the national charity Christians Against Poverty, and local foodbanks. Churchgoers will raise the cash through donations and fundraising events. 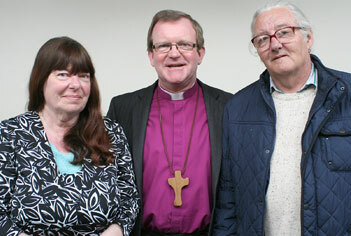 Bishop Christopher visited King’s Church, Southsea, to meet clients who had been helped out of crippling debt, as well as staff and volunteers who run CAP centres in Southsea, Gosport and the Isle of Wight. He heard about the work of the Portsmouth Foodbank which is also based at King’s Church, Southsea. Gary said: “I was in debt more than I could manage. I was so desperate, I ended up selling jewellery, everything we owned to get food on the table. I found a company on the internet that could help me, but that was a bogus company and I ended up owing more. Then I tried another company, but they charged £60 a time, so the debt wasn’t even being paid off. Another CAP client, Zeta Bishop, 61, from Bembridge on the Isle of Wight, owed £12,000 because her husband’s work was seasonal. She approached the CAP centre based at her church in Sandown. 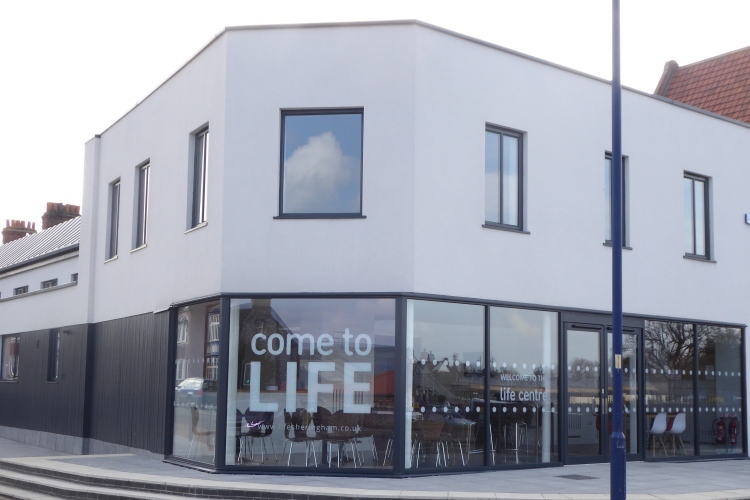 The Christians Against Poverty centre at King’s Church, Southsea, helps 25-30 clients, each of whom is visited regularly in their own home. There are 27 clients helped by the CAP centre at King’s Church in Sandown, on the Isle of Wight, and a similar number helped by the CAP centre at Alverstoke Evangelical Church in Gosport. Those clients are among the seven million people in debt across the UK. CAP have 253 centres around the UK. The Foodbank at King’s Church, Southsea, helps those who have been referred by professionals including GPs, health visitors and social workers. It has seen a 38 per cent increase in the number of people needing emergency food packages in the past year. Bishop Christopher said: “The CAP centres and Foodbanks are doing excellent work with ordinary people who find themselves in exceptional circumstances. The staff and volunteers are generous, skilled and committed to help. Christians across the spectrum are working to help alleviate these problems and also to ask questions about why we find ourselves in this situation. “I want to listen and learn about the problems and then share what I’ve heard with those who have the difficult job of handling this at policy level. For more information, see www.portsmouth.anglican.org/lentappeal or www.capuk.co.uk.